This instructional CD-ROM for mouth harp players teaches you to play licks in the styles of The Beatles, Bob Dylan, and Stevie Wonder. 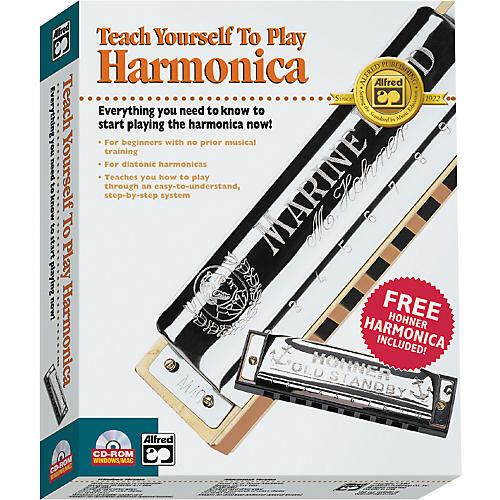 Demonstrates chording, single-note playing, and advanced techniques.Includes Hohner harmonica. No experience required. This instructional CD-ROM for mouth harp players teaches you to play licks in the styles of The Beatles, Bob Dylan, and Stevie Wonder. Demonstrates chording, single-note playing, and advanced techniques. Includes Hohner harmonica. No experience required.